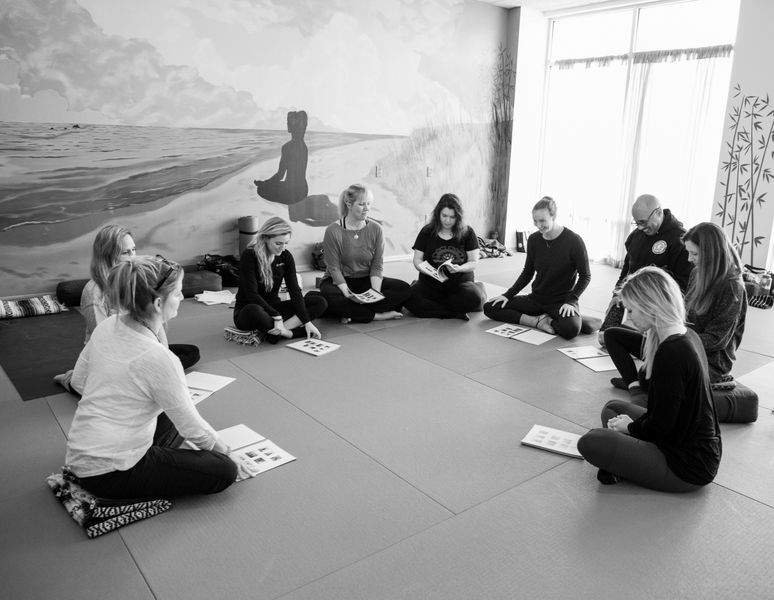 In addition to our regularly scheduled classes, Studio Bamboo also facilitates workshops and events throughout the year led by our staff as well as internationally known yogis. CLICK HERE FOR UPCOMING EVENT AND WORKSHOP SCHEDULE. Past guest instructors have included: Bruce Bowditch, Matthew Sanford, Bryce Yoga (Briohny + Dice), Nicki Doane, Mas Vidal, Karen Miscall-Bannon, Mimi Rieger and more! Whether you are a student, yoga teacher, studio member or non-member we invite you to deepen and enrich your practice through our workshop and event offerings. Our workshops vary in structure and style; some follow a discussion-based format, whereas others are designed to involve more movement or the "breaking down" of various postures. We also host various events, themed classes and fundraisers for local charities and organizations. Examples include our Bamboo Beats "silent disco" yoga class, American Red Cross Blood Drives, free Thanksgiving gratitude classes and more!